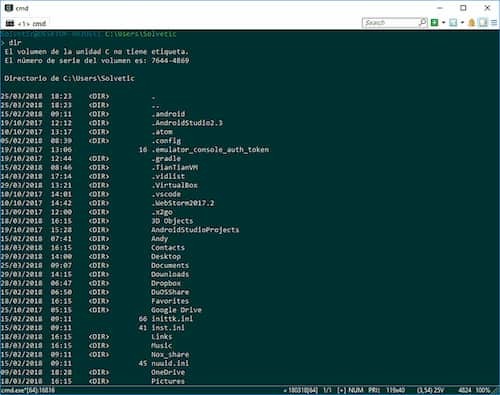 6 Best Terminal Emulator for Windows: Compilation with the best command terminal emulators that we can download in Windows 10. Below we explain each of them in detail. Check these terminals which are popular and works great for windows. For more updated modern and full of functionalities developed for a pleasant experience of the end user. It continues and will continue, existing an essential tool to perform various tasks of administration of both the system and its components and is the terminal. Windows operating systems have the system symbol, already known to all from where we carry out these tasks in a monochromatic environment and with the respective scripts needed. But today we will analyze other options that we can use as a terminal. Being much more configurable and with more suitable environments for a management task. Continue reading for more information. 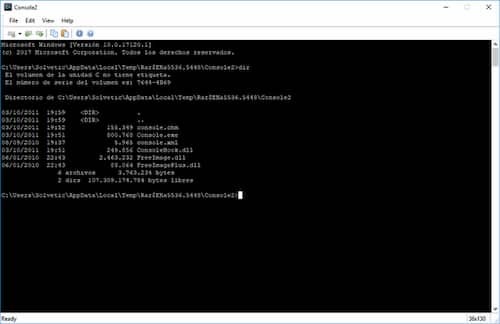 ZOC has been developed as a professional ssh client and terminal emulator for Windows environments. It has a large list of emulations and features, which makes it one of the best tools for tasks such as connecting to hosts and mainframes using a secure shell, telnet, and other communication methods available. It has a current interface in which the tasks to be executed will be much simpler. Emulation: xterm, VT220, TN3270, TN5250, Wyse, QNX, etc. Cmder is a software package which is based on powerful software and based on the Monokai color scheme. Allowing it to have a customized design. 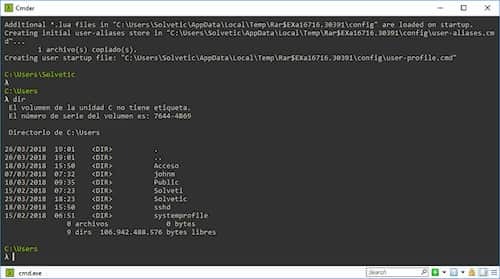 It is a portable terminal emulator for Windows 10 that offers us a series of unique features for all Shell-based work. It can work with msysgit, PowerShell, Cygwin, and mintty, which allows us to take full advantage of all Unix capabilities in Windows. The console is an improvement that was made to the traditional window of the Windows console. ConEmu-Maximus5 is a console emulator for the Windows operating system which uses tabs, presents multiple consoles and user-friendly GUI applications such as a customizable GUI window with various features. By using ConEmu we will be able to manage files, history and finalize commands. In addition, we have a powerful editor. ConEmu can be used with any other console application or GUI tools such as Putty. It has window fonts with details such as height, width, bold, italics, etc. The objective of Babun is to be one of the best emulators of Shell for Windows 10 whereas users we have many features both schema and execution. 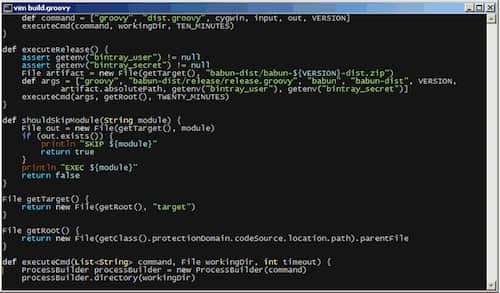 Babun has bash and zsh factory, which provides us with tools for immediate use. It is built on Cygwin and it is possible to use oh-my-zsh to configure the multiple zsh options. 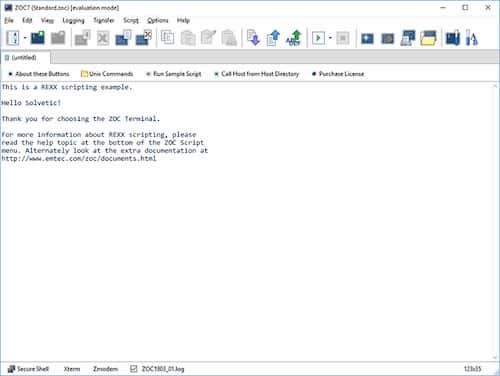 The Mintty is a terminal emulator designed for Cygwin, MSYS or Msys2, which offers a range of ideal functions for comprehensive management of each process in Windows. At the level of functions, we have the following. Terminal emulation compatible with Xterm, coverage of the terminal features of the DEC VT300 series and more. Thus, we have seen some useful alternatives for the tasks that are necessary to carry out in terminals in Windows environments. 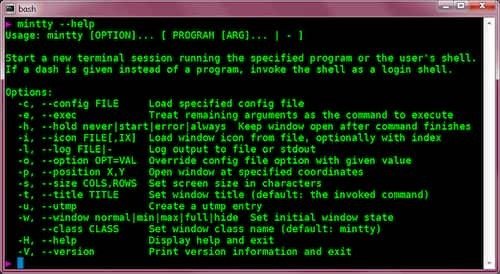 Hence, you have explored to the best 6 terminal emulators for windows and you can use them easily. So the provided list are the best terminals for windows. We hope you like this article and willing to share the article with friends and families at social networking sites. Feel free to ask your questions in the comment box below. Stay tuned to Cracko for more awesome articles on tech and best guides for you.